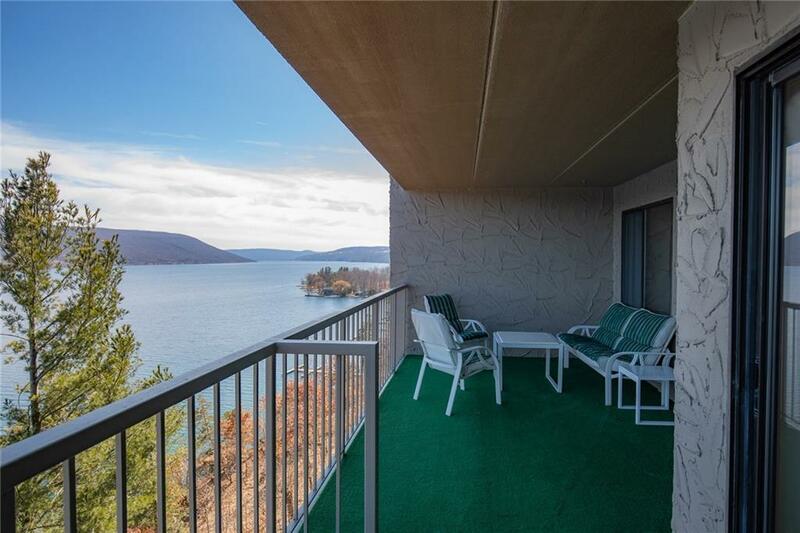 Easy breezy Lake front living in this maintenance free Condo. Spacious preferred 2 bedroom, 2 bath floor plan. Enjoy stunning views from the extra large balcony! HOA fee inlcudes access to 250' private sandy beach with chaise lounges, tennis and pickleball courts, community center with fitness room, playground, firepit and picnic tables. Walk to Bristol Harbour Lodge and Golf Course. Directions To Property: Starting In Canandaigua Route 21 South Through Cheshire. Left On Seneca Point Rd. Left Oncliffside Dr.